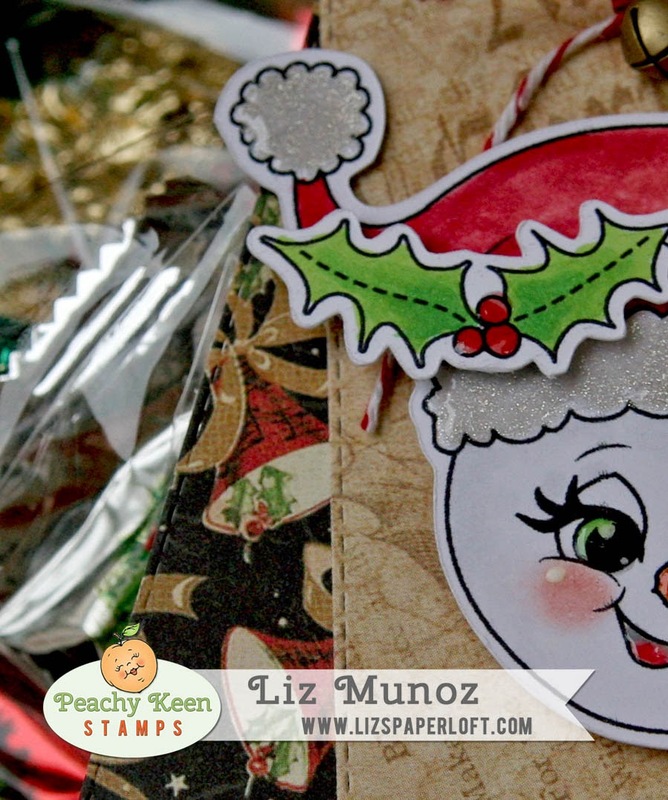 Liz's Paper Loft: PK Sneak Peak Day 2 ~ The Holidays Are Here! Happy Thursday! 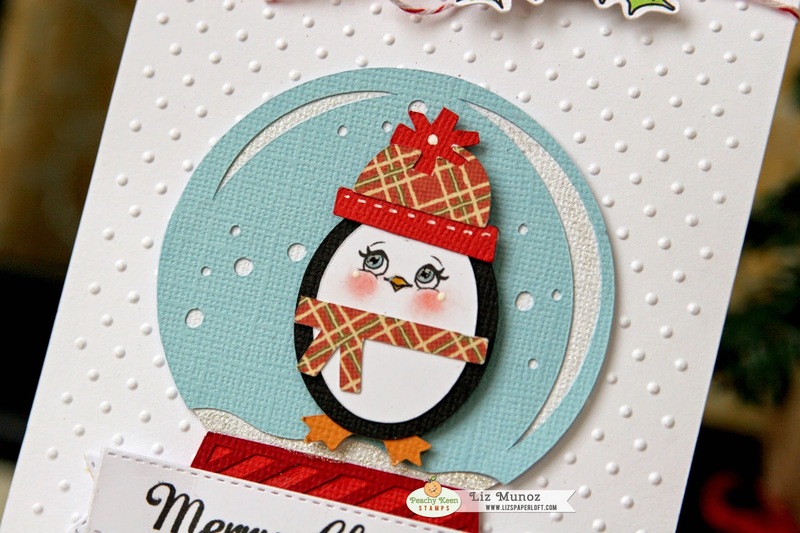 Today is day 2 of Peachy Keen Stamps newest release sneak peeks! I hope you enjoyed the projects we on the DT shared with you yesterday. I'm totally having a blast with these new sets, so I had to make two projects for you! Isn't this sweet face just adorable?! And for my second project I made a cute card with PK and Miss Kate Cuttables svg's. Now the best news...you could win a $25 Gift Certificate from Peachy Keen Stamps. Just be sure to visit Peachy Keen's blog and leave a comment! Those little guys are the cutest! Must have. Adorable projects! Love the snowman face! Liz ~ as always simply ADORABLE but yet so BEAUTIFUL! Just LOVE everything about these projects! ahhhh, so stinkin' cute!!! love the both! Liz, these are both ADORABLE!!! The faces are so darn cute! Love your colouring too! Great projects, thanks for sharing. 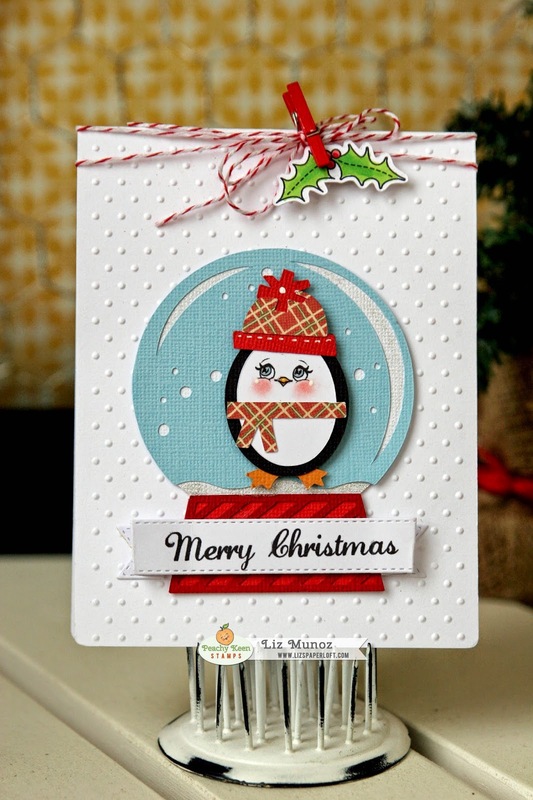 So cute - love the Santa face and the chubby penguin. Hi Liz, I love both projects, TFS! Such adorable projects!!! Love them both!! This is so super adorable!!!! Both projects ROCK!!! What a fun filled teat container with the cute tag. Love the embossing & sweet penguin too. Oh my gosh! Everything is awesome and adorable! Both are fabby sneaks! LOVE! I just love your projects and the PK faces that you chose to put with them. Adorable projects Liz! Love them both TFS! What fun great projects! Love the PK faces. I dont know how ya do it lady!! You are one talented lady! These are so super cute. 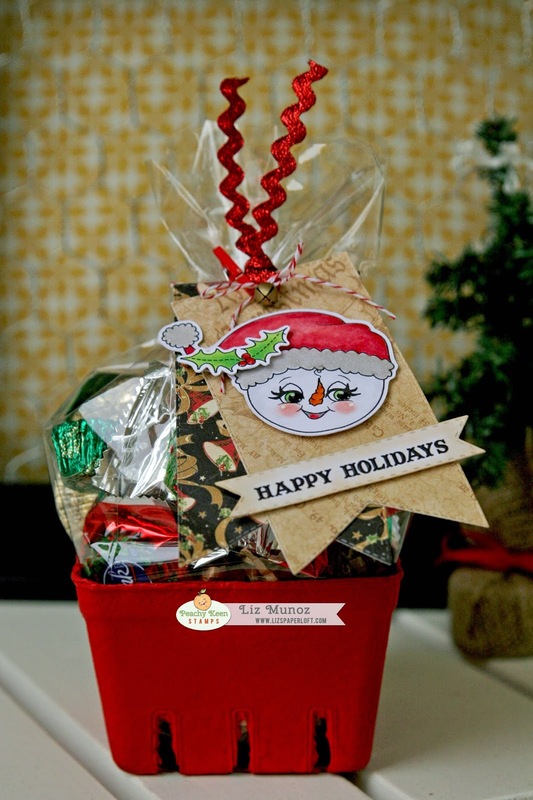 Your Christmas Treat Basket Are Too Cute!!! Amazing projects...that penguin is adorable!!! The sweet Peachy faces are adorable. Your treat is so cute...love the sparkly ric-rac. 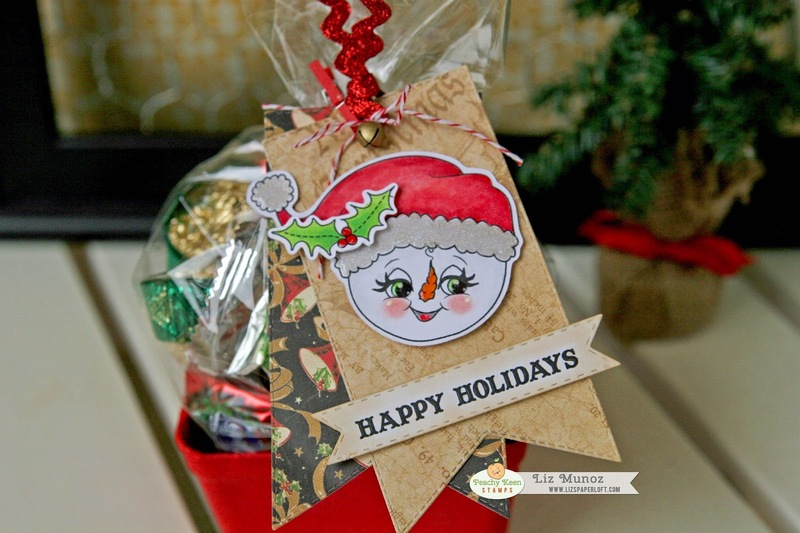 Great idea to put the embossing...looks like snow. Wonderful job on both projects. These are both so incredibly cute!! Hugs! !